The 2010 Olympics start tonight! 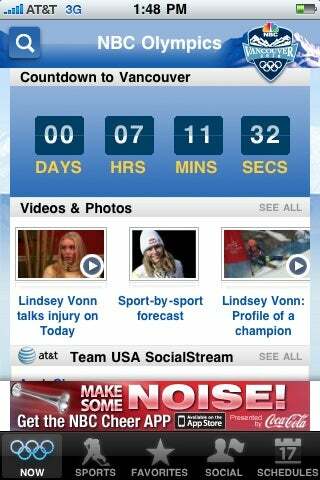 And while I might not be so excited about curling, I'm looking forward to updates and athlete profiles on my iPhone. NBC's free Olympics app also has a social component, ideal for trash-talking Norwegian lugers.